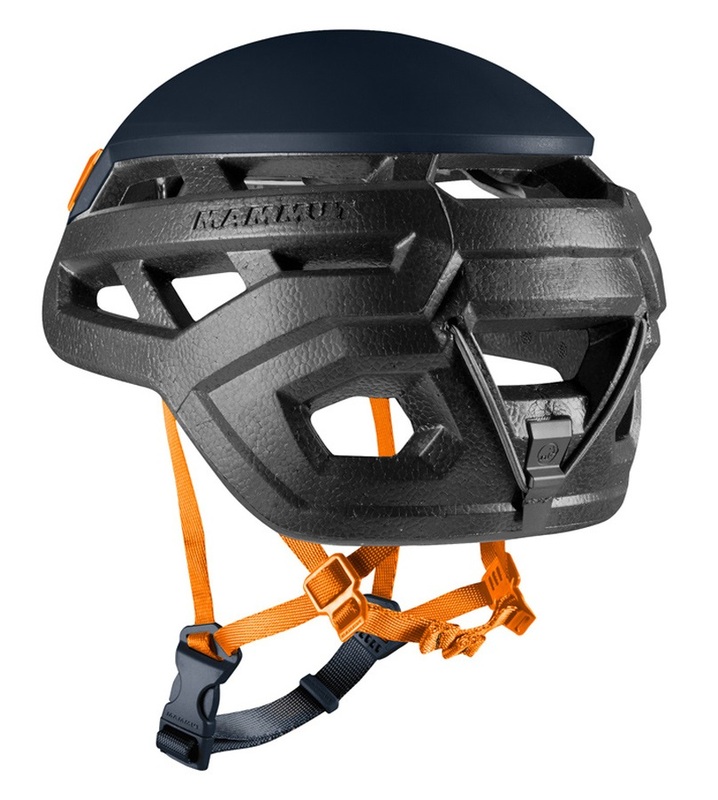 Advanced, minimalist climbing helmet for serious lightweight climbing by Mammut, the Wall Rider. 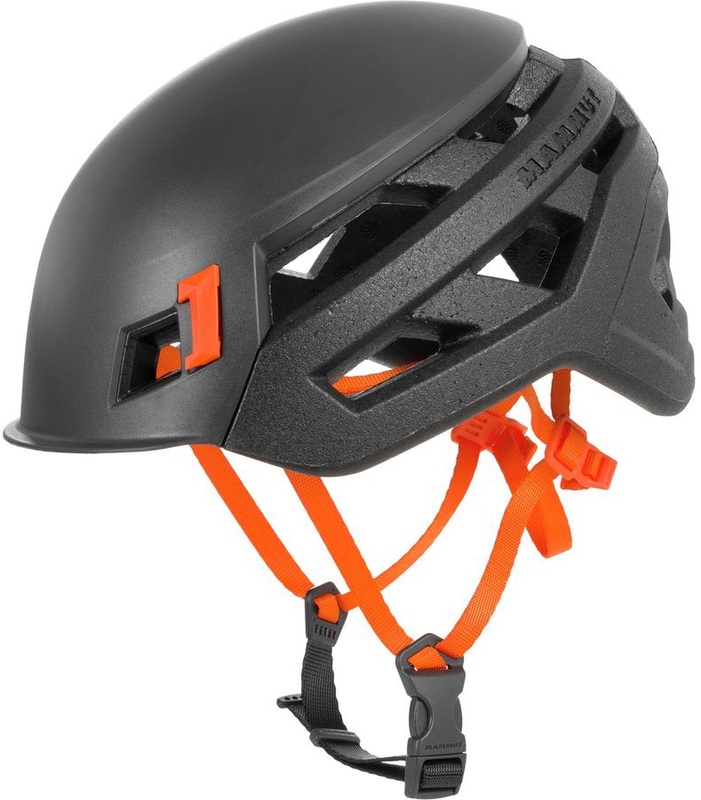 The Mammut Wall Rider Helmet is the ultimate minimalist helmet that is ultra lightweight with reinforced protection. 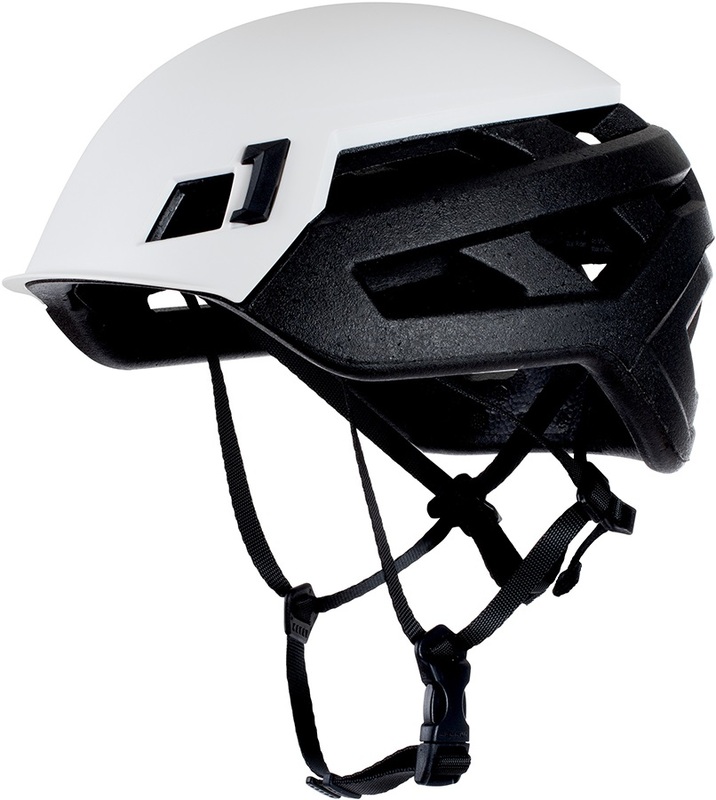 To achieve a weight of just over 200 grams, the Wall Rider is constructed from a combination of Expanded Polypropylene (EPP) with a reinforced hardshell for maximum security. 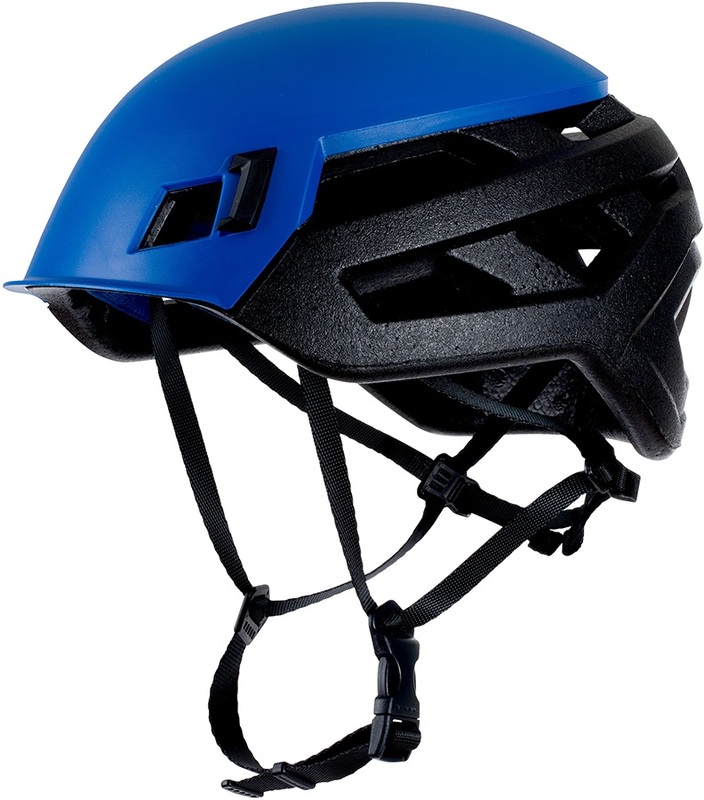 It features generous ventilation ports which will be welcome when the crux comes around, you will be able to remain cool headed when it matters. Two front clips and a back elastic will hold down a headlamp comfortably for dawn patrols and evening descents. A well rigged minimalist adjustment head and chin strap allow for perfect size customisation whilst padding on the inside will ensure all day comfort. The Wall Rider is Mammut's lightweight hybrid masterpiece with the positive characteristics of a shock absorbent EPP layer plus a hardshell making it a robust all-rounder. 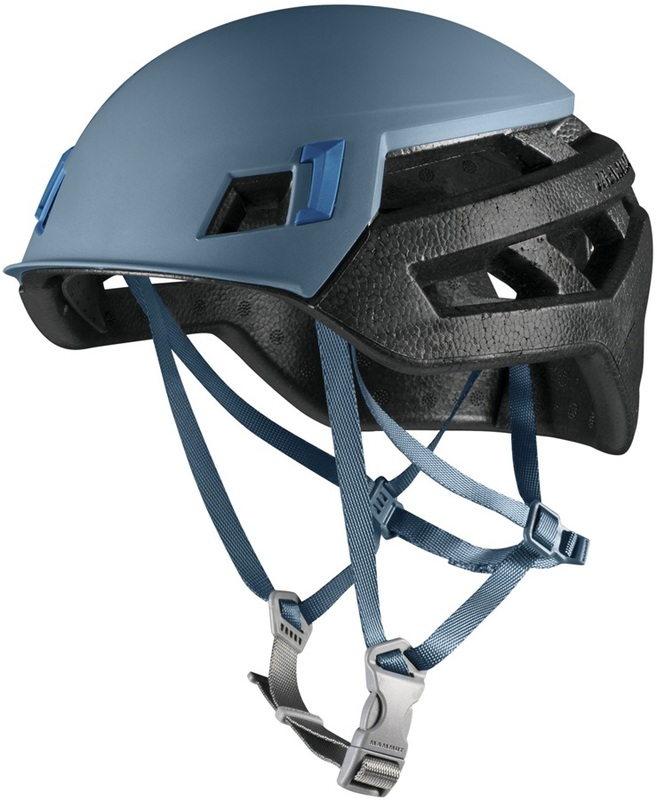 Ideal for mixed and iceclimbing, multipitches, sport climbing, classical alpinism and via ferrata.